Valeri Grigoryevich Kikta (born October 22, 1941, Vladimirovka, Donetsk region) is a prolific Russian and Ukrainian composer, Honored Art Worker of Russia and Ukraine, a professor of the Moscow Conservatory and public figure. Kikta heads the Music Theater Commission of the Union of Moscow Composers (Soyuz kompozitorov Moskvy), he is a chairman of the board of the Russian Harp Society (Russkoye arfovoye obshchestvo) and a president of The Ivan Kozlovsky Regional Public Foundation, Kikta is also a jury member of various competitions. His compositions include 11 ballets, and a number of symphonic, organ and choral works. Valeri Kikta was born in the village of Vladimirovka, Donetsk region, Ukraine. His musical education began in the Moscow Choral College, from which he graduated in 1960. Then Kikta studied with Semyon Bogatyryov and Tikhon Khrennikov at the Moscow Conservatory, graduating in 1965. On the recommendation of Dmitri Shostakovich, Kikta went on to postgraduate course, his supervisor was Tikhon Khrennikov. In 1967-1993 he was a leading music editor of the publishing house Soviet Composer (Sovetskiy kompozitor). 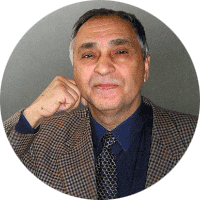 Since 1968 he had been a member of the Union of Russian Composers (Soyuz kompozitorov Rossii), since 1989 – a member of the board of the Union of Moscow Composers (Soyuz kompozitorov Moskvy) and a chairman of the Music Theater Commission of the Union of Moscow Composers, since 2006 – a secretary of the Union of Russian Composers. Since 1989 – a member of the editorial board of the periodical Ballet. In 2002 at the World Harp Congress in Geneva Kikta spoke on Music for Harp in Russia (Muzyka dlya arfy v Rossii). Since 2004 – a chairman of the Russian Choral Society (Russkoye khorovoye obshchestvo) (Moscow). Valeri Kikta has been teaching at the Moscow Conservatory since 1991, and in 2010 he headed the Orchestration Department. Over the years of work, Kikta taught a number of talented musicians. The members of the Union of Russian Composers, laureates of all-Russian and international competitions were among his students. Kikta’s music is widely known not only in Russia and Ukraine, but also in Europe, Canada and the USA. His compositions include 11 ballets, symphonic works – Ukrainian Christmas carols, shchedrivkas and vesnyankas (Ukrayinsʹki kolyadky, shchedrivky y vesnyanky), [shchedrivkas and vesnyankas are Ukrainian folk songs], Frescos of the St. Sofia Cathedral of Kiev (Freski Svyatoy Sofii Kiyevskoy), Variations on the theme of Tchaikovsky Christ, When a Child, a Garden Made (Byl u Khrista-mladentsa sad), The Abduction of Europe (Pokhishcheniye Yevropy) (based on V. Serov’s painting). Valery Kikta wrote oratorios and cantatas Princess Olga (Knyaginya Ol’ga), Song About the Mother (Pesn’ o materi), The Holy Dnepr (Svyatoy Dnepr), The Light of Silent Stars (Svet molchalivykh zvezd), instrumental concerts – including for pianoforte, for four flutes, for oboe, for horn, for tuba, for two harps. The author has interesting works for the organ, choral, vocal and chamber-instrumental compositions, works for the orchestra of Russian and Ukrainian folk instruments, music for theater and cinema.